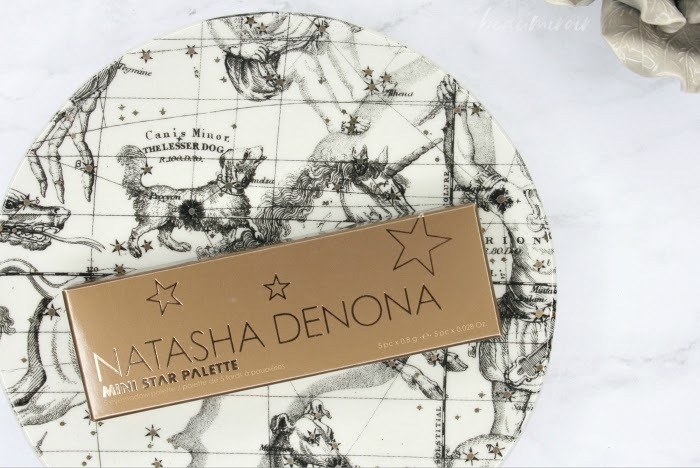 Natasha Denona Mini Star Palette: Hit Or Miss? 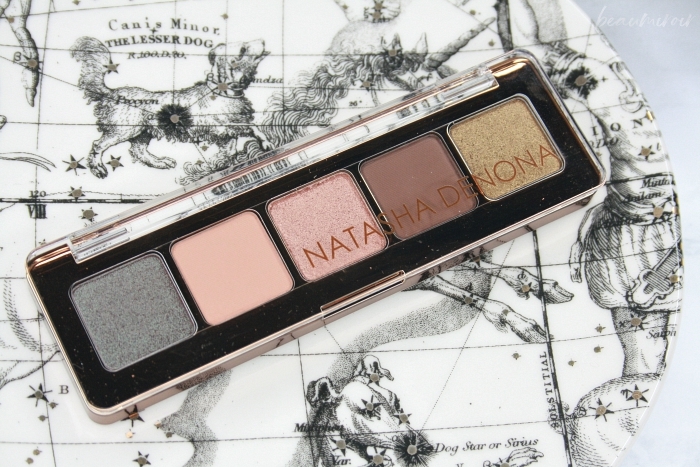 Natasha Denona is a makeup brand I have been curious about for a while. I've heard great reviews of her eyeshadows, but with full-size palettes priced between $129 and $239 (!! ), I never considered trying them. Then she started releasing mini palettes of 5 shadows for $25, and I just grabbed the first one containing shades I liked: the newly released Mini Star Palette. Did it convince me to fork out $200+ for a large palette? Keep reading to find out! First, a word about the packaging. The Mini Star Palette being "only" $25 (which is $5 more than the Makeup Revolution Emily Edit The Wants 24-shade palette, just saying) I didn't expect anything special, but I was pleasantly surprised by the design. The palette is small but sturdy, and the thick copper base with a clear lid look both modern and elegant. 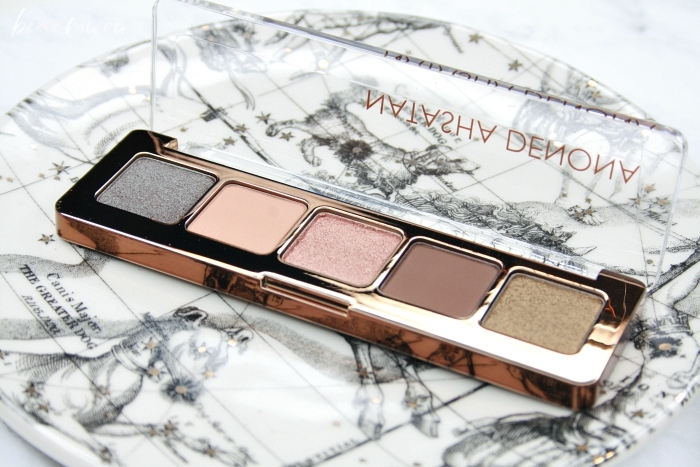 It contains a total of 4.5g of eyeshadow (5x0.8g) which isn't very much. To compare with other small sized palettes, the Viseart Petit Pro contains 8g (8 shades for $30) and the Smashbox Cover Shot palettes 6.2g (8 shades for $29). For me though, size does not matter. I have a large enough makeup collection that I'm very unlikely to ever use up an eyeshadow palette, mini or not, so I'd rather take a smaller amount and a lower price tag! If I had to sum up my feelings about the Mini Star palette in one word, it would be: effort. If you prefer shadows that apply easily and practically blend themselves, look elsewhere. The shimmers in this palette are all high maintenance! I don't know what happened in the makeup world, but so many brands have been releasing obnoxious shimmery shadows these days. How is that acceptable? Do brands think that we all want to spend an hour in the morning using wet brushes and our fingertips and glitter glue before having to vacuum our cheekbones to remove the considerable fallout? You think I'm exaggerating? Not really: with the Mini Star I had to resort to using scotch tape to pick up all the glitter that landed under my eyes... And yes I did my eye look before my foundation, thankfully! At least, the mattes here are a bit more pleasant to use. - Orion is the shade I was the most excited about: a warm, plummy brown with a strong duochrome teal reflection. This kind of color is actually pretty common, being done by many different brands, and I call it "Club-like" in reference to the iconic MAC Club eyeshadow. Orion feels pretty creamy to the touch and swatches alright. On the eye, however, I really have to pack it on to see the teal shift. I have to use a specific brush (flat, dense natural hair by Coastal Scents), my fingertips, or wet my brush to get good color payoff on my lid. And even then, it's never quite as luminous as I expected from the pan. - Atik is a light-medium peachy brown matte that works well as a transition shade on my skin tone. It's nicely pigmented, silky soft and blends well, although it can look a little too orange if I build it up too much. There's quite a bit of kickback in the pan, even with a very soft brush, so I have to dip in it very gently. - Bellatrix, a peachy beige shimmer. This one swatches beautifully but turns out to be quite disappointing on the eye. It barely shows up, and, again, I have to layer it a lot, use my fingertips or wet my brush. It feels quite soft in the pan, but it just doesn't transfer well to a brush, or from a brush to the lid. - Earth is your classic dark brown matte. It feels a little dryer and thinner than Atik, and is a little less pigmented. It builds pretty easily and blends fine, so although not outstanding it's a solid, useful shade. - Cosmo is a hot mess, and I'm being kind. I love the gorgeous tarnished gold color, but the texture is incredibly chunky, like pressed glitter. It is absolutely unusable dry: I tried many brushes and my fingertips, and it won't adhere to the skin properly so the payoff is abysmal and the fallout atrocious. I CAN work with it wet, and the metallic payoff is beautiful right after application, but as soon as it dries down it starts falling out again and the glitter transfers everywhere. Cheekbones, chin, forehead, you name it. I FOUND SOME ON MY TEETH. The only way I can kind of successfully use it is on the lower lash line. You may have more luck if you use glitter glue. I don't even own any because I'm not such a fan of glitter. Just to clarify: I have used textured, pressed glitter shadows from other brands, and although they were prone to fallout and needed specific application techniques, they were nowhere near the mess that Cosmo is. I mean, I have four of Huda Beauty's Obsessions palettes, which are full of glittery shades, and never had such an issue getting them to stick to my lids! I just press them on with a fingertip and voilà. That is not the case with Cosmo. 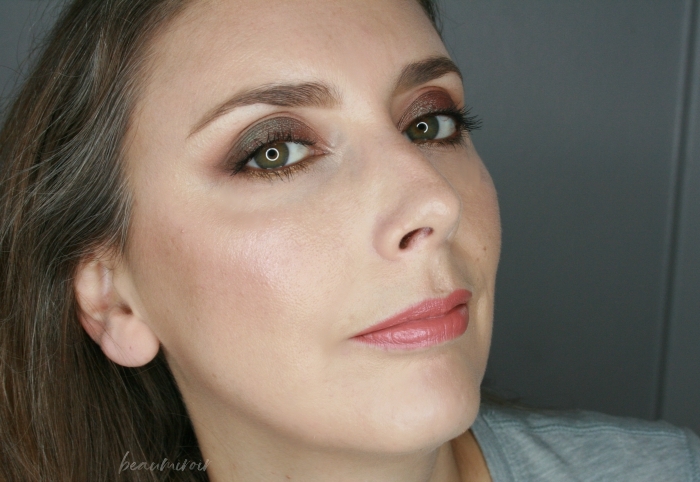 In the end, with lots of work and specific tools, I'm able to get the sultry, dramatic eye look I wanted from the Mini Star Palette, using Orion on the lid, Earth in the outer corner, and Atik in the crease. I can also use Bellatrix instead of Orion for a wearable day look. Unfortunately I can't use the gold Cosmo all over the lid, it just won't stick there. Wear time is fine with all shades except Cosmo, which ends up all over the place pretty quickly. 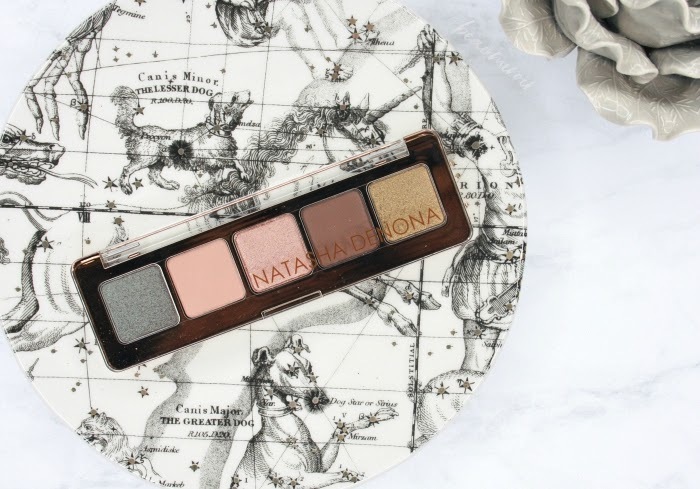 I'm glad I finally tried the Natasha Denona eyeshadow formula, because now I know that it's not worth the money in my opinion! I was conflicted about returning this palette, but for now I've decided to keep it, since I do like two looks I can create with it. 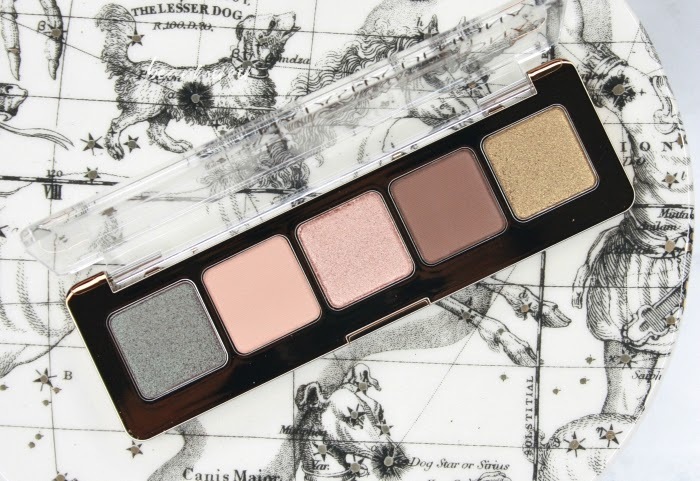 The mattes in the Mini Star Palette are fine, but all three of the shimmers are hard to work with and require lots of effort to look anything like they do in the pan. And then there's Cosmo, the problem child gold that refuses to stick to the skin. 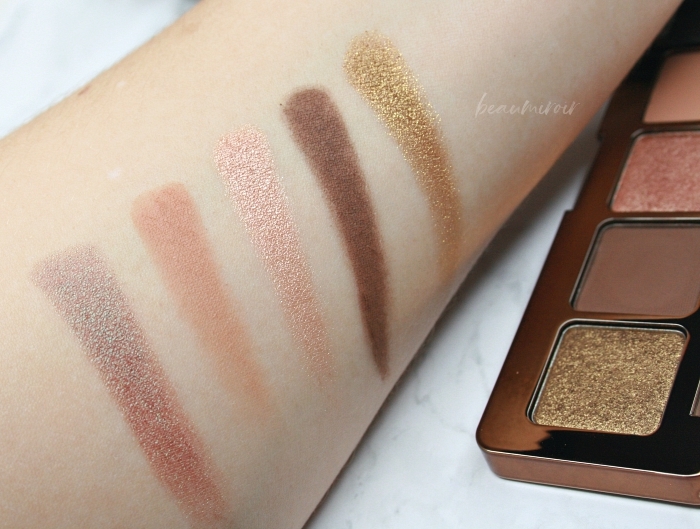 If you like the color combination as much as I do, but want to save yourself the expense and trouble, I think this little palette is very easy to dupe: use your favorite transition shade and dark brown matte, any light beige shimmer you already own, and try MAC Club eyeshadow or MAC Blue Brown pigment for something similar to Orion, and MAC Old Gold pigment for a much better quality antique gold than Cosmo (if you've been a makeup enthusiast for a while, you probably have those in your collection already).